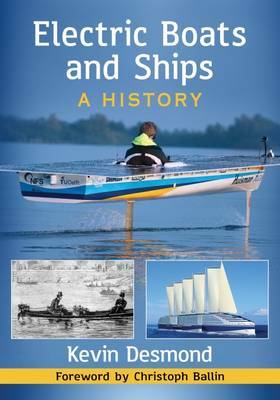 This is the first international history of the birth and rebirth of the electric boat and ship from 1835 to the present day. It celebrates the Golden Era of electric launches, 1880-1910. It narrates how, despite the arrival of the internal combustion engine, electric propulsion continued its progress with the turbo-electric ship. It shows how sustainable and hybrid technologies, pioneered in small inland waterways craft towards the end of the 20th Century, have recently been scaled up to the integrated electric propulsion of the largest ocean-going ships.